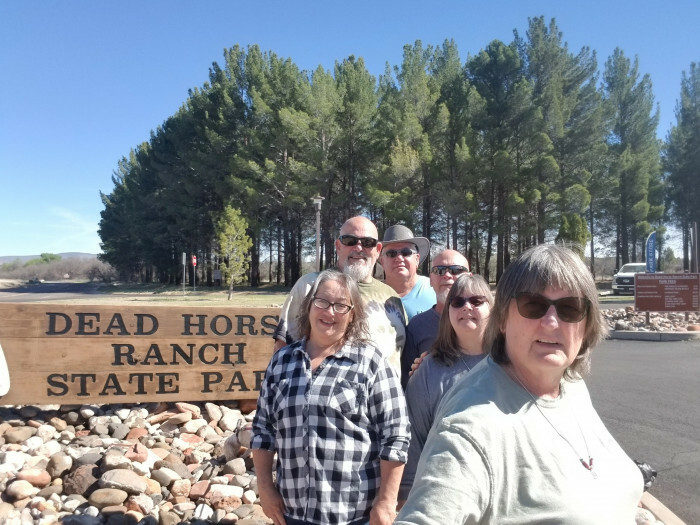 Ask fellow campers about "Dead Horse Ranch State Park" and nearby attractions. We stay here at least once a year and have always found it to be first class. Great place to camp if like to go wine tasting in old town Cottonwood. Also close to Sedona and Jerome. Dump Station at entrance. We camped at Dead Horse Ranch State Park in a Fifth Wheel. This state park has paved roads and back in sites and is very easy to navigate. The site we stayed on had electric and water and was approximately 80 ft long. There was no internet or cable but there is so much to do in this area this was not an issue. The spacing between the sites were perfect. Overall this s a very large nice state park to stay in when visiting the Cotton Wood/Sedona areas. We would definitely come back here again. 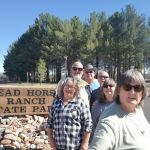 We camped at Dead Horse Ranch State Park in a Fifth Wheel. Park is close to great sites and state monuments. Clean and freindly We camped at Dead Horse Ranch State Park in a Fifth Wheel. We stayed with our rv group for three days. The sites were level, easy to access and very clean. The only thing we would add is an area for group meetings. We have stayed at Dead Horse Ranch SP twice and are going back there again next year. We camped at Dead Horse Ranch State Park in a Motorhome. Blazin'M Ranch dinner and show, only about 1/2 mile away. Hog Wild BBQ about 1/2 mile away, Verde Canyon Railroad, Copper Museum in Clarkdale, Southwest Wine Center, various wineries in the area, lots of good restaurants. We stayed here with a small rally of 8 coaches. Lots to see and do in the area. Everyone commented on how much they liked the park. The park hosts were friendly, helpful and knowledgeable. The park itself was very clean and well maintained. There are many hiking trails throughout the park and also horseback riding is available at one of the several lagoons. We plan to have another rally here next year. We camped at Dead Horse Ranch State Park in a Motorhome. 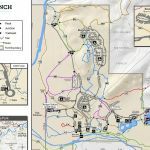 Some of the many fun things to see and do while camping at Dead Horse Ranch State Park: Visit the mining town of Jerome. Tour the Copper Art Museum (pets welcome). Shop, dine and do a little wine tasting in Old Town Cottonwood. Ride the Verde Valley Railway. Explore the ruins at Tuzigoot National Monument. Take a drive up to the scenic, artsy town of Sedona. Such a beautiful park with lots of hiking trails, biking, horseback riding and fishing in the 3 large ponds. The entire park is kept clean with rangers on site for questions and aid if needed. No wi-fi but who needs it when the outdoors has so much to offer. Close to Sedona, Jerome and several national monuments. We camped at Dead Horse Ranch State Park in a Fifth Wheel. My husband and I stayed here for two weeks and just loved it! For the first eight days we stayed in the Quail loop which was $35 a night. The next six nights we stayed in the red tail hawk loop which was only $30 a night. We liked the red tail just as well as the quail loop and if we'd known about the difference in price, we would've stayed there the entire time. There's ample room between each site so it feels very private and quiet. Roads roads are paved as well as your site and are very level. The only thing I can say about the red tail loop is it would be very hot during summer months, as there is little to no shade. Where as the quail loop has more mature trees and shrubs. There are tons of trails which we and our dog just loved! The only thing I wasn't crazy about is most of the trails were considered multi use, meaning they were for both hikers and horseback riders. So you really have to watch your step and watch out for horse poop! Hosts were extremely friendly and helpful. Bath houses were a bit old but very clean. We didn't use the showers but checked them out. Not sure why the stalls didn't even have a ledge or shelf for you to put your soap and other toiletries. At the quail loop we had a pull thru site, and a back in at red tail. We loved this state park and hated leaving! Oh, and the mountain views are gorgeous! We camped at Dead Horse Ranch State Park in a Motorhome. Be sure to visit Pizzaria Bocce in Old Town Cottonwood! Their pizza is amazing and some of the best we have ever had. Also visit Mai Thai on Main for outstanding Thai food! Great campground, stayed at copperhead loop. Great view of Jerome. Close to may trail. Large site. We camped at Dead Horse Ranch State Park in a Travel Trailer. Booked reservations online about 2 months in advance and was lucky to get 3 spots in a row in the quail loop. We had 2 pull throughs and a back in. All spots were very level. The backin site had a height restriction and they were not kidding. We were just barley able to get the trailer under the tree branch. The camp ground was clean and the hosts were very nice. The lake and river is close by and there are lots of trials to hike on. We would definitely stay here again. We camped at Dead Horse Ranch State Park in a Travel Trailer. 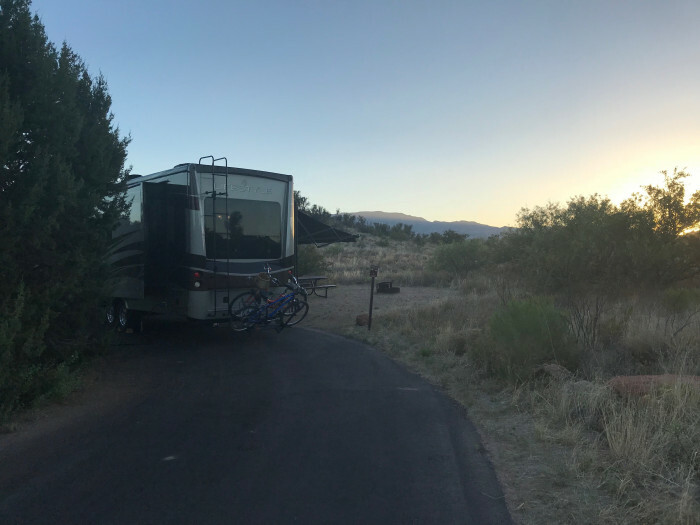 Coopers Hawk Loop, Pad Approx 13' Wide, CG was Full - Nice Level Back-in Site, Good Separation, Super Quiet, Nasty Weather, Good Dish Sat & OTA Reception, 3 Bars of AT&T data, Good Cell We camped at Dead Horse Ranch State Park in a Motorhome. My new favorite place. Great location to stay at and explore the area. Park is large and clean. Had a pull thru slot and worked great for us. Not a lot of shade. We camped at Dead Horse Ranch State Park in a Motorhome. What a beautiful spot! Sites are large, easy to get into, some with amazing views. The lagoons are lovely and there is much to do. The only reason I didn't give it a 10 is because there's no sewer. But there is a dump station right at the entrance. Verizon reception is good, but not ATT. Still, well worth the price of admission! 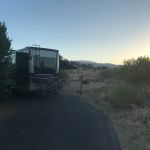 We camped at Dead Horse Ranch State Park in a Fifth Wheel. The town of Cottonwood is quite charming, plus there are ancient sites to see very near by (Toozigoot). This is a beautiful state park minutes from the cute town of Cottonwood. If you like mountain views stay in Quail Loop sites 1-10. No sewer but nice bathrooms and easy dump station. 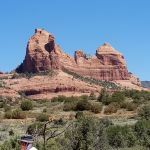 A short 30 minute drive to Sedona with lots to see along the way. We stayed 2 nights and wish it was longer! We will go back some day! We camped at Dead Horse Ranch State Park in a Motorhome. Have a meal at the Tavern Grill! Nice place in a lot of ways. Leveling issues are possible and roads in Quail loop a little tight. My big complaint deals with day use areas. They close them at 7pm, actually made us leave at 6:45. Never experienced a day use area not being available to overnight campers. We camped at Dead Horse Ranch State Park in a Motorhome. We stayed in Coopers Hawk Loop, water and electric only. Most all other reviewers have covered the many amenities offered in this park. This site (101) is paved with dirt/gravel on side area where picnic table and fire pit are located. Plenty of room for our 40' MH with 4 slides; we did unhook our tow; it fit nicely across the back of the site. We didn't use the bathrooms or showers, but they looked very clean when we checked them out. Several camp hosts clean the sites and bathrooms daily. This was our second time to camp here; we'll definitely stay again. We camped at Dead Horse Ranch State Park in a Motorhome. This is a good base to explore the surrounding area of Sedona, Jerome, and the nearby National Park units. Dinner at Concho's Mexican Restaurant, 206 S Main Street, Cottonwood was very good. 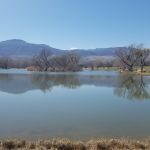 Very close to the pleasant town of Cottonwood for groceries, hardware, quaint shops, restaurants and wineries. Also very convenient for visiting Jerome, Prescott and Sedona. Walmart, Safeway, restaurants, and all services available in nearby Cottonwood. Lots of cool things to do in the Verde Valley. 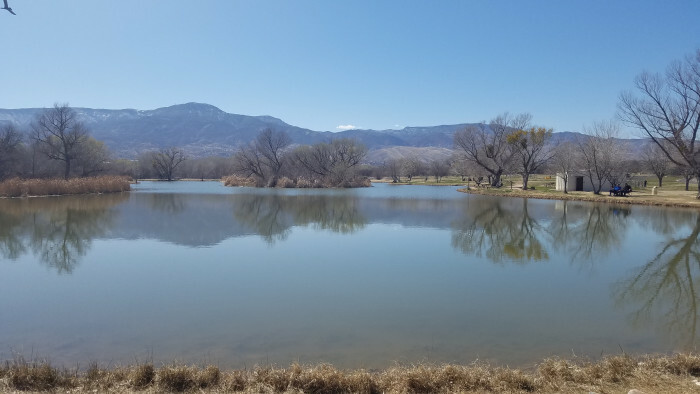 Drive up Mingus Mountain to Jerome, an historic mining town, visit Cottonwood for antique shops, take a ride on the Verde Valley RR and see Bald Eagles, visit Tuzigoot, or take a day trip to Sedona. The trails are great, though very dusty. Nearby town of Jerome is really cool. Close to old historic Cottonwood downtown. You could probably spend 10-14 days here in order to see even part of the sights of Sedona, Jerome, Camp Verde, Cottonwood, etc. History, archeology, Indian ways, wineries, old town districts, hundreds of miles of hiking trails, shopping, tours, you name it. Or, you can sit by the water and fish, go birding, and look at the stars at nite! Much to do around Sedona, which was about 20 miles away. Conchos was a good Mexican restaurant in town. Love the town of Cottonwood and it's restaurant and shops. Pizzeria Bocce is a don't miss! Cottonwood, AZ has plenty to offer -- but would the city council and/or tourism bureau please request that Main St. locations put up obvious address numbers on the fronts of their facades? I looked and looked for a certain address but gave up because it was so frustrating. The mountain biking and hiking trails pick up in the upper RV loops inside the park are are fantastic! Bring lots of water and enjoy the views! BBQ at Hog Wild on Wednesday for specials...come hungry! Visit Tuzigoot and Montezuma's Castle/Well. If like hiking can go for miles. Don't miss Jerome - really cool old town. Historic old Cottonwood is very quaint. The wineries along Page Springs Rd are very nice. Page Springs Cellars has a beautiful deck overlooking Oak Creek. The tasting room at Oak Creek vineyards is very festive, and the wines are good - the Zin was excellent. We bought 4 bottles. Creekside American Bistro in Sedona is dog friendly, and they actually have a separate doggie menu. You are close to Tuzigoot prehistoric site, Sedona, Oak Creek Canyon, Jerome, Verde Canyon Railway, Montezuma Wells (prehistoric site). Jerome is very cool, and if you're into music, music collectibles, or instruments, check our Tommy Rocks. Said most in my review, however might add that Flagstaff is also very close and a very pretty drive using the back roads. Pizzeria Bocce in Cottonwood is fantastic! We enjoy visiting Tuzigoot national monument and riding the Verde Valley Railroad. Recommend Blazing M Western Show/Dinner in the park. $35+tax for Seniors. We saw a Magician that was only fair, but told the Western Show is very good. Food was excellent! Have a little Western Town with wagon ride, and lots for the kids to do. Very quaint! Owners exceptionally accommocating and friendly! Cottonwood has several restaurants and plenty of basic shopping available. West Sedona, Cottonwood, and Jerome are great places to visit. We really enjoyed our time in Jerome. Neat restaurants in old downtown Cottonwood. Everyone from Sedona comes to Cottonwood to go to the Walmart. Lots to do from here. More shade in lower numbers, nearer the river. There's an off leash dog park less than a mile from the park. Great restaurants / shopping in town, Camelot RV repair just up the road is also a good repair shop, although he seems to have a huge waiting list but is good at fitting in an emergency repair. Quail Loop has lots of shade, the other loops do not. The views from Coopers Hawk and Red-tailed Hawk loop sites are pretty spectacular, but no shade at all. Cottonwood is a big town with all the amenities and services. There is a great off leash town dog park on the road into the park. Lots of things to do and places to go around this park. Very conveniently located to Sedona! Great location for exploring Sedona and Jerome and the National Monuments in the area. Are you affiliated with Dead Horse Ranch State Park ?